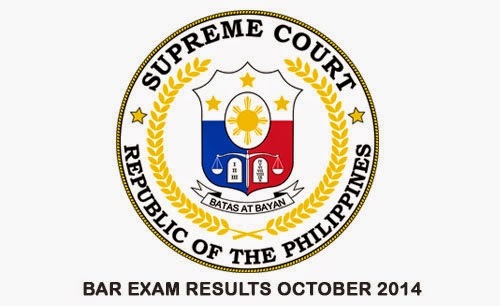 The Philippines 2014 Bar Exam Results is now available on this page. All passers with a surname starting from M, N, O, and P are now posted on this page. According to Supreme Court, the "name card" system was replaced by the new "bar code" system. Hon. Diosdado M. Peralta is the committee on bar examination on October 2014. Supreme Court received a total of 6,370 applications, but eight were denied while 18 withdrew their applications. Only 3,115 were first-time takers, while 3,229 were repeat examinees. Please bare with us while we update this page for you. Maybe the Supreme Court has a minor difficulty on posting the results. Comments or suggestions about "2014 Bar Exam results Philippines Bar Passers (M – N – O – P)" is important to us, you may share it by using the comment box below.